Kalimpong: Cheden Bhutia, a young paragliding enthusiast from Sikkim, has become the first person from the Himalayan state to win a medal at an international event when she won a bronze at the Open International Competition in Nepal last week. The 26-year-old, who is the vice-president of the Sikkim Paragliding Adventure Sports Cooperative Society Ltd, was among 10 paragliders from Sikkim who had participated in the meet held at Sirkot in Syangja district of Nepal from November 1 to November 5. She won the bronze in the cross-country event. Cheden hails from Phuncheybung in West Sikkim. The Telegraph could not speak to Cheden to get her reaction since she was still away in Nepal. She is expected back in Gangtok tomorrow. Santosh Rai, a member of the paragliding society, said Cheden was the first pilot from Sikkim to win an international medal. In the past, paragliders from the state had participated in international events in Indonesia and Turkey, but had never won a medal. "The event in which Cheden bagged the bronze is called cross-country where pilots have to fly from one point to another as chosen by the judges. The competitors take off at the same time and have to cover the distance the fastest," he said. In all, competitions were held in three categories, including cross-country. The other two events were spot landing and tandem spot landing. "Our contingent participated in spot landing and cross-country events," said Rai. About 300 paragliders from 25 countries had taken part in the event. 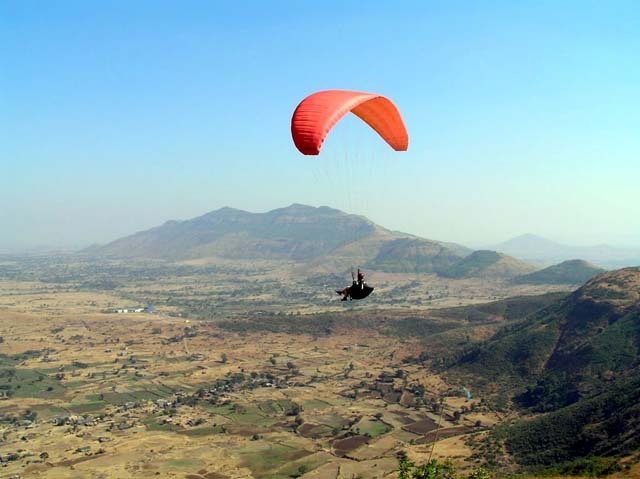 Paragliding is becoming popular not just in Sikkim but also neighbouring Kalimpong and Darjeeling more as adventure tourism, and not sport. According to Rai, out of the 35 paragliders flying in Sikkim, only 12 indulge in it as a sport. Cheden Bhutia, a young paragliding enthusiast from Sikkim, has become the first person from the Himalayan state to win a medal at an international event when she won a bronze at the Open International Competition in Nepal last week.